Got married to my beautiful and loveable wife, Beth. Today was a special day! We enjoyed being with close family afterward for dinner and look forward to a bigger reception for all friends and family in June . 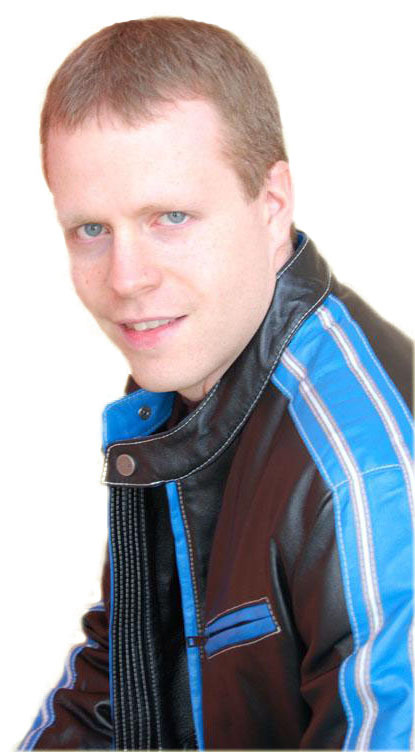 Eddy Ray Will Make Your Event Memorable! I've posted some new videos on youtube and plan to get more uploaded soon. Take a look! Over at http://www.MagicTrickPro.com we decided to go all out and offer something totally free. People may think we are nuts but hey it's a darn good deal and it won't last very long. Don't forget to join our secret magic club and forums! Over the past few years I've been selling magic sets for children and adults, 7 -70! This year is no different so I thought I'd post some information about it. If you need that special and unique gift idea.. here it is! Eddy Ray's Super Magic Set! It's jammed packed full of great magic including my new book on magic and my DVD, 101 Easy Tricks You Can Do. Just a quick update. 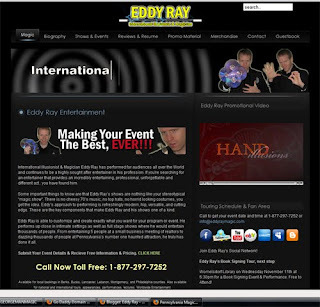 We've been working hard here to make Eddy Ray's Official Website a great resource to help you make the correct decision when hiring entertainment for your event. Check out all the new features and updated pages. We've got a poll, the info desk where you can find some guides and coupons (to come) as well as new menu navigation with more pages. Check back often as things will be added and update regularly. You'll also be able to see the latest stops in the Magic Tricks in Minutes book tour!